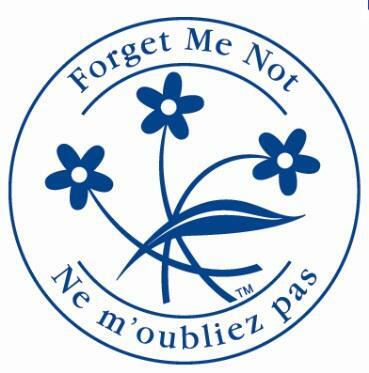 The Walk for Memories, an annual fundraising event organized by the Federation of Quebec Alzheimer Societies, will take place this summer, on May 26. By joining this collective event, I wish to help collect funds to contribute to an enhanced quality of life of Alzheimer’s patients and to encourage further research in the field. If there is something I want to walk away with it is that we can make a difference in the life of the elderly suffering from Alzheimer’s. We can indeed improve the public understanding of dementia as well as support Alzheimer’s patients financially by collecting funds for research and health care services. The Walk for Memories, as a public campaign that encourages a societal acceptance of elderly patients affected by dementia, allows us to meet this mission by triggering change in local communities across the province and inspiring others to spread this movement beyond. Clearly, there is a growing need for emotional and financial support for Alzheimer’s victims. Yet I realized that the care we offer elderly patients can benefit not only them but all of us. Combining our efforts to give elderly people excellent treatment will allow us to show them that they still have value and a place in society and, at the same time, it will lessen our fear or aging. Sara Tomaszewski is in her last semester of Health Science. Credits for the poster go to the Federation of Quebec Alzheimer Societies (2013).